Ceara Lafferty was lying down on a cot at the Highland Hospital in Oakland with a thick plastic tube sticking out of her nose and another shooting out of her stomach when her family came to visit her. They came and asked her the question that no athlete wants to hear: “Are you going to keep playing?” For the 6’0 rugby player, the answer was yes, even when her sport nearly killed her. Lafferty went to the emergency room on April 21 after a kick to the stomach during a game punctured her intestine. She was rushed into emergency surgery to save her life after bile and stomach acid began dissolving her internal organs. 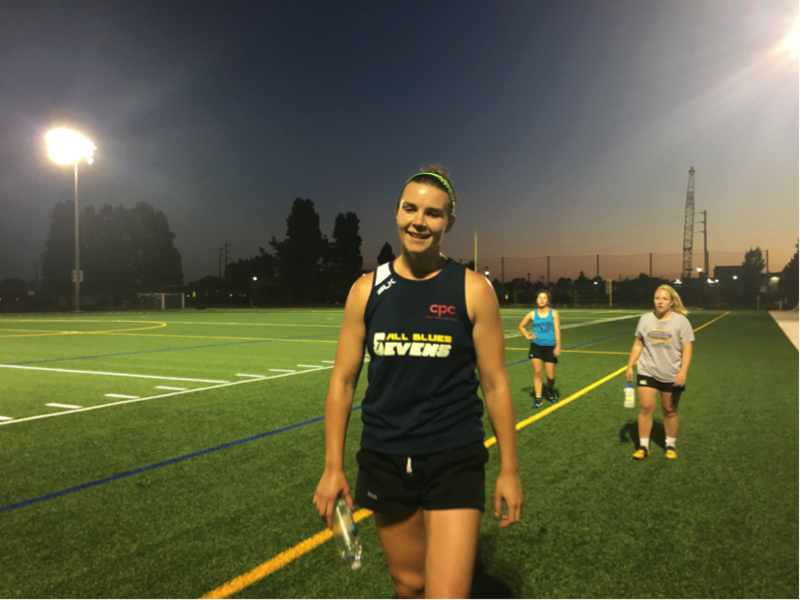 Despite the injury, Lafferty, who also works for USA rugby, is expected to make a full recovery and has decided to keep playing competitively and keep expanding the sport that is part of her identity. 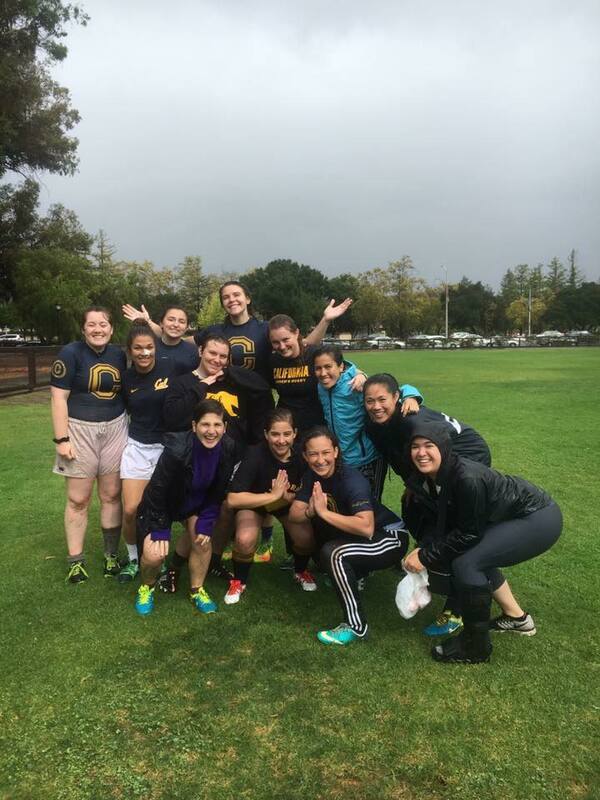 Lafferty was playing for the Berkeley All Blues in the Northern California Women’s Club Division II Finals when she thought she just got the wind knocked out of her after a tackle. But when the captain of the team did not immediately get up after making the tackle from behind, coach Evan Hoese took her off the field. “She is our captain and a powerhouse. She always gets back up, so when she didn’t, I took it seriously,” she said. Lafferty’s final diagnosis was a laceration in her liver and gastrointestinal perforation in the duodenum of her intestine. Even with maximum treatment, the risk of death for gastrointestinal perforation can be as high as 50 percent, according to a 2008 study by The Medical Clinics of North America. During her first practice back on June 12, Lafferty was able to jog but not much else. But that didn’t stop her from high-fiving her teammates during sprints or pulling aside a player to explain how shifting the ball creates space. “She is one of the most selfless players I have ever seen. She puts everybody’s well being above her own,” said coach Hoese. Lafferty is expected to begin full contact practices in October and will continue teaching rugby curriculum ahead of the World Cup from July 20-22 in San Francisco. She said, “I decided that I wasn’t going to let the fear of something happening keep me from doing what I love." All Blues: When and how did you first start playing rugby? What got you into it? Florence: I was a late bloomer. I just started playing about four years ago, when I reached my dirty thirties. I was approached while out with my roommate by a rugger, not knowing that my roommate had played in college. She convinced me to check out one practice and I instantly fell in love. AB: Did you play any sports prior to rugby? F: I’ve been playing sports since the age of four. My first sport was track, I’ve tried to play just about every sport they offered in schools but basketball and fast pitch softball where the only ones I stuck with. I ended up playing for a traveling softball team in the Navy after high school. Now rugby is the only sport I play. AB: Do you have a philosophy/mindset when you practice and play rugby? F: When I play I just think about having fun, when you stop having fun you lose the love for playing. AB: How did you first find out about the All Blues? What made you come out here and join us? F: The All Blues are known nationwide; I’ve always heard good things about this team. I wasn’t sure what team I was going to play with when I moved to Berkeley. I decided to check out each team and choose from there but after one practice with the ABs I knew this is where I wanted to be. I loved the environment and the team was extremely welcoming. AB: Is there a particular player and/or coach that has influenced your development as a player? In what way(s) did they help you? F: My first vet Kelly Sager is probably the most influential person. My first year playing we didn’t have a coach and I was the only rookie. She took me under her wing and taught me the game--mostly the rules and how to use them to my advantage. F: The best advice I’ve ever received is that I have more time than I think. AB: Any other fun facts about yourself you’d like to share with us? F: I am a sock enthusiast, I own a lot of socks lol. 8Foot: I’ve been playing team sports for most of my life and have loved every minute of it, so when I decided that I wanted to go to Cal, my dad had a feeling I would want to continue pursuing that passion. He discovered that Cal had a club rugby team and, to be honest, I was really skeptical of it when he first mentioned it. 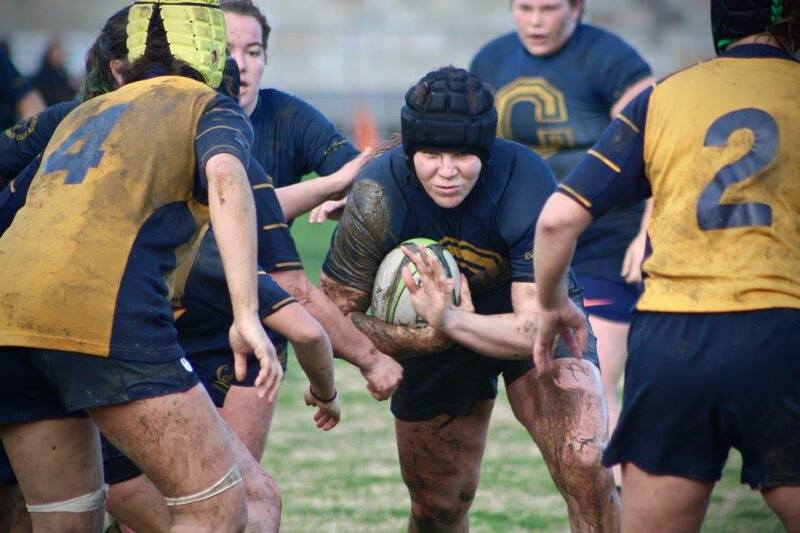 When I was recruited by a rugby player during my first week as a freshman, my skepticism turned into curiosity and I decided to dive in headfirst to a rugby practice. I was brought there by a hunch and stayed because of the strength and empowerment I feel every time I’m on the pitch, and because of the open-minded people that make up the rugby community. 8’: I played varsity basketball, soccer, and volleyball all throughout high school. I thought I would be dedicated to being a baller forever, but I found rugby and never looked back. 8’: I found out through the Cal to All Blues pipeline! It’s a real thing. AB: What’s your most memorable time thus far with the All Blues? 8’: I’m sure this sounds hella cheesy, but honestly, every moment spent with the All Blues is better than the last. This team has made me feel so welcomed and loved and valued and it means so much coming from a group of such amazing and talented individuals. [When we first had that double header this season], I played in both the D2 game against the Amazons and the WPL game against Life West and I truly did not know if I was going to make it through the last 10 minutes of the WPL game. My motivation came from the communication and positive attitudes of the people playing next to me, telling me that I could push through. I was able to put work in on the pitch until the final whistle because my teammates believed in me. 8’: There are two pieces of advice that I always carry with me on the pitch. The first comes from a fellow All Blue, friend, and rugby philosopher, Frieda Fetuu: always stay humble. The second piece of advice was said to me by Mari Triplett, an All Blue and former coach of mine. When she was coaching at Cal, she would always say, “Saw your leg off!” That was her way of telling us to do WHATEVER it takes to do what needs to be done. Saw your leg off for the ball, for the scrum, and most importantly, for your teammates. I value both of these pieces of wisdom not only because they came from women I respect immensely, but because they remind me that I play not only for my teammates, but for all of the women who have come before me and will come after me. AB: What skills are you working on/would like to work on right now? 8’: I’m really working on trying to be a vocal leader. The fact that so many of the All Blues are great leaders has made that a lot easier. AB: What is your favorite non-rugby activity? Do you have any passions besides rugby? 8’: It kind of seems like my whole life revolves around rugby sometimes, but I swear I enjoy doing other things too. I’m super passionate about music. I love to sing, play guitar, go to concerts, and discover new music. I also am trying to get into photography! I also adore food: cooking it, learning about it, watching shows about it, and, most of all, eating it. I’m into exploring too, especially in new cities and the outdoors. 8’: I lived in Rome, Italy for 5 years. That’s where I went to high school and it’s the longest I stayed in one place while growing up. Also, if you didn’t know already, I’m 8 feet tall.